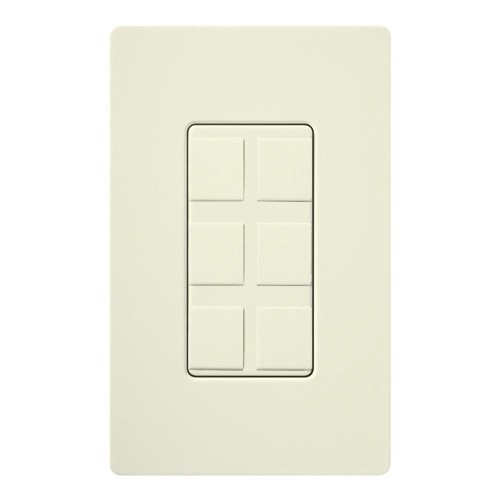 Lutron Claro® 6-Gang Designer field customizable multi port frame in biscuit color, has satin finish. Rectangle frame measures 12-Inch x 4.69-Inch x 0.30-Inch. It supports snap-in mounting. * Inventory displayed is accurate as of 04/20/2019 21:40 EDT.